The restaurant activity in the Conejo Valley continues to move at a very fast pace with high demand for restaurant spaces and not much supply as compared to previous years. The Counter in Westlake Village near Lure Fish House just closed its doors for good at this location. No new restaurant has been slated yet to replace them so stay tuned. But Barone’s Pizzeria is slated to open soon in the location just to the left of the old Counter location and I hear good things about Barone’s. Coco’s in Calabasas off Las Virgenes Road has also shut its doors and this space is now available for lease. Rumor has it that Buffalo Wild Wings might be leasing the space. Wolf Creek also closed its doors in Calabasas so this doesn’t bode well for that center which already lost The Village Fish Market which has been closed since 2013. In Oak Park, Nicos has closed down and will be replaced by Charhouse Barbecue Restaurant. In the same center, Margaritas Mexican Grill just opened recently and replaced Cigale Cafe and the former Starbucks location is now becoming a smoothie/coffee/juice type business. The Fresh & Easy market just shut its doors in the shopping center across the street where Starbucks relocated to and the Fresh & Easy space is a big hole to fill which won’t be easy to do. Plata Mexican food at the Whizins Market Square in Agoura Hills is now open in the former Latigo Kid location so they join Hugos, Tifa Gelato and Chocolate, and Wood Ranch at this center. Gippinos restaurant, with an existing location in Moorpark, is going to replace Vittelo’s Restaurant in Westlake Village this summer. Stay tuned for the next restaurant update soon! Westlake Village: The Old Plug Nickel location (now a wine tasting bar called Cuvee Terrace) in WLV is being sold and leased to one of my clients that has a couple of very high end successful Italian restaurants in other cities. The vacant space in the same center as Lure Seafood just past The Counter location has signed a lease for a New Zealand Pacific Rim type restaurant called Aroha that is one of my clients. In the old 90210 Pho location in this center to the left of The Counter, a new restaurant called Kaze which somehow fuzes Japanese and Italian foods together signed a lease. In Agoura Hills, Vincitori Italian (owns Spumoni in NP also and replaced China Star here) just opened up recently in the Agoura Hills City Mall where the Agoura’s Famous Deli is and there will also be a new Kosher Israeli restaurant opening in the next couple of months just to the left of this Deli. I am involved in both of these deals. Padri’s will be opening up a high end Mexican restaurant in the Whizzins Center where Latigo Kid used to be in the next couple of months. 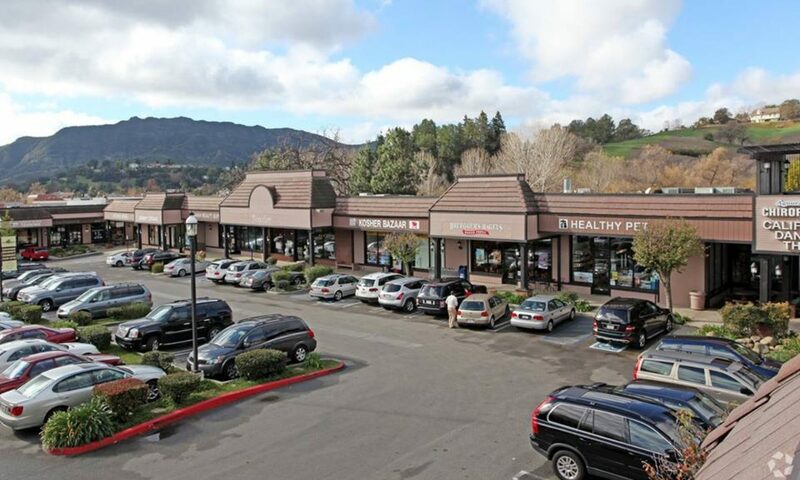 Latigo relocated to the old Alamo location in the Vons anchored center at Kanan and Thousand Oaks Blvd. in Agoura Hills. Calabasas: The old Red Robins in Calabasas is being leased by the Agoura Famous Deli owner and it’s yet to been seen what it will become. Westlake Village: The Gelsons/Sprouts/Vons center in WLV (all owned by one owner) is performing a 25-million dollar renovation and is going to not only remodel but also build new buildings in some of the parking areas as well as try to connect all 3 different plazas into one. New restaurants/food uses coming here are: Leilas (rumor only, not confirmed), Mendocino Farms, Pitfire Artisan Pizza, Le pain Quotidien, Pressed Juicery and Firefly. And here is what the new plaza will look like with a list of current and new tenants: http://s.lnimg.com/attachments/52094D72-3578-4790-A932-A1142E78AB9C.pdf. Target is under construction with a July 25, 2014, grand opening date and they own their land. The goal is to get all other Tenants open on or around this date, with the exception of buildings B and E, which will be later phases delivered in September. Here is a website link that will show you a site plan for each building so you can see where each tenant is going in this new center. We have a lease out for signature with a 1,000 SF user, however. Will have several food and retail tenants.